Totem II Needs an Editor! Welcome from the mighty, mighty Lynx! Welcome to the official website of the Lincoln Lynx Alumni Association of Lincoln High School in Seattle, Washington. Even though the school closed in 1981, the alumni association is alive and active! The LLAA is a 501(c)3 non-profit organization and annually awards scholarships to a number of outstanding high school students who are lineal descendants of Lincoln graduates and staff. Please visit the Scholarship tab to see this year's recipients. 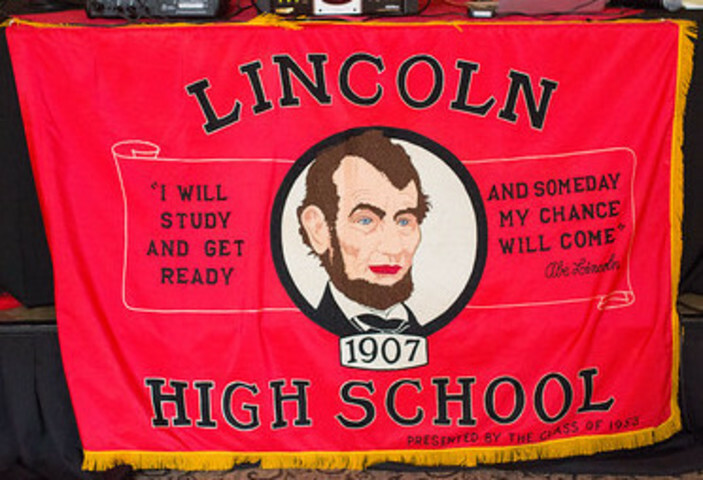 The Lincoln Lynx Alumni Association has roots going back to 1910. Membership in the LLAA is open to any person who attended Lincoln as a student, staff, or faculty member. It promotes and preserves the history of the school and has events and programs to strengthen the bonds between its members and the community. The Totem II newspaper, published three times a year, strives to reconnect and encourages contact of members. To submit an article or news, click on "Contact Us". We hope you will join the association today and receive a complimentary recent issue of Totem II and the "We are back!" refrigerator magnet. We know you will enjoy being a member of the Lincoln family!! The Winter Totem II is now available on-line. It has been mailed to all of our postal customers. The Totem II is available to LLAA members only. You can pay for your membership online. If you have received an email from us recently, click on Alumni Login and complete the Membership Renewal. For those of you that have not received an email from us click on the Membership tab and the How to Join the LLAA Online to complete the process. If you prefer to send in a check, download and print the PDF Printable Membership Application, fill it out, and send it with your check to the LLAA, PO Box 31056, Seattle, WA 98103 We look forward to having you as a member, joining many other Lynx in keeping the Lincoln spirit alive! Planning is under way for 2019 reunions. See the Reunions page for more details. Please know that the Lynx pictured here is available to use as a backdrop for your event photos, too! Contact Verna Sorlie Rossevelt to schedule the pickup. Pictured here are members of the Class of '73 at a 45th Reunion gathering.